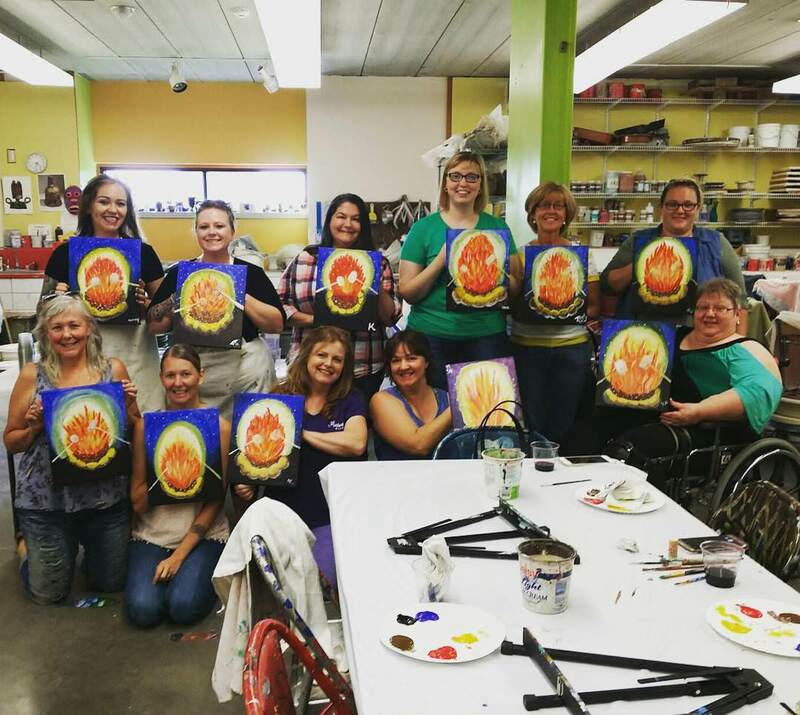 Canvas Painting Parties are great for birthdays! 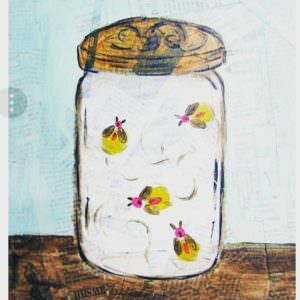 Additional art projects can be offered. 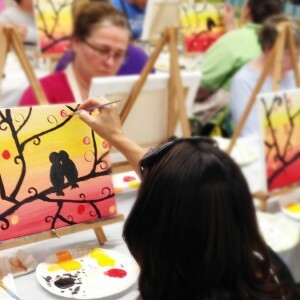 All art projects fit the theme of your party. Minimum of 7 participants. Feel free to bring snacks, cake and presents! A $30 Down-payment, is used toward total cost of the party. Purchase individual molded & handmade pots, and paint them! Pottery is ready to pick up a week later. Prices start at $2 for the pottery plus a group rate of $30 for the first hour and $20 for any additional hour. A minimum of 7 participants. No outside alcohol beverages are permitted at the Art Center. Call 223-5900 to schedule your party now! 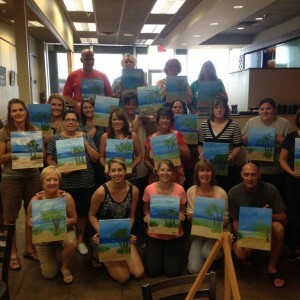 Thirsty Palette Adult Painting Parties are open to the public and held once a month. 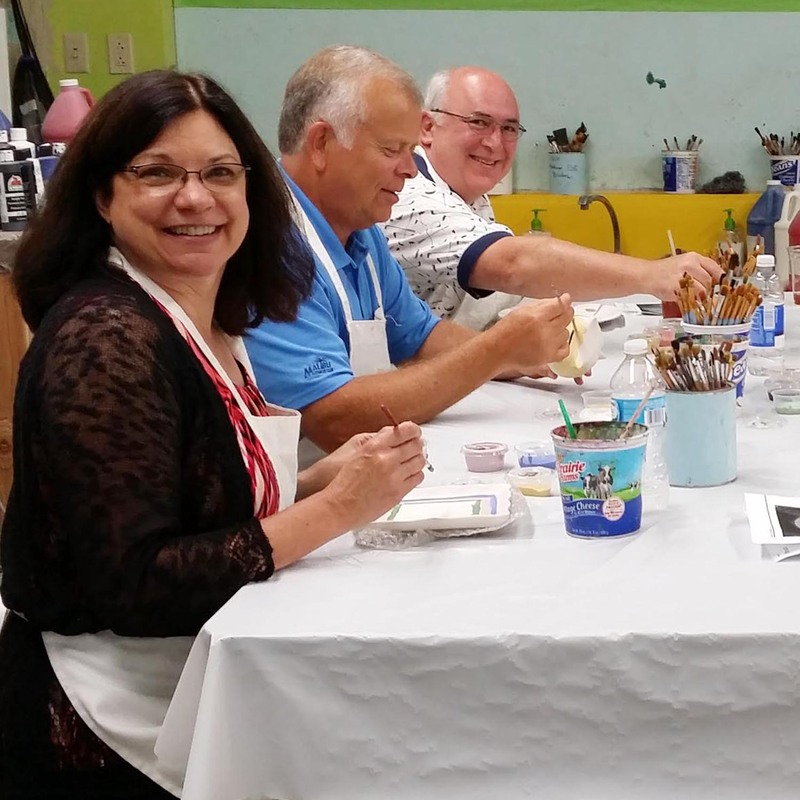 Relax with friends and paint a step by step masterpiece guided by an art instructor. Fee includes all materials, canvas, and instruction! Each month has a new theme. Groups of 5 or more are encouraged to book a private party. No outside alcohol beverages are permitted at the Art Center. 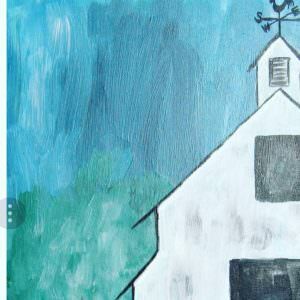 View paintings and register now! 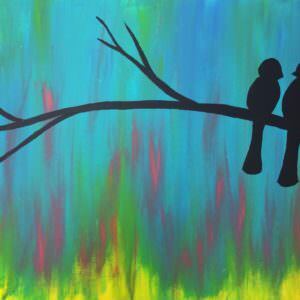 Relax and paint a step by step masterpiece guided by an art instructor. 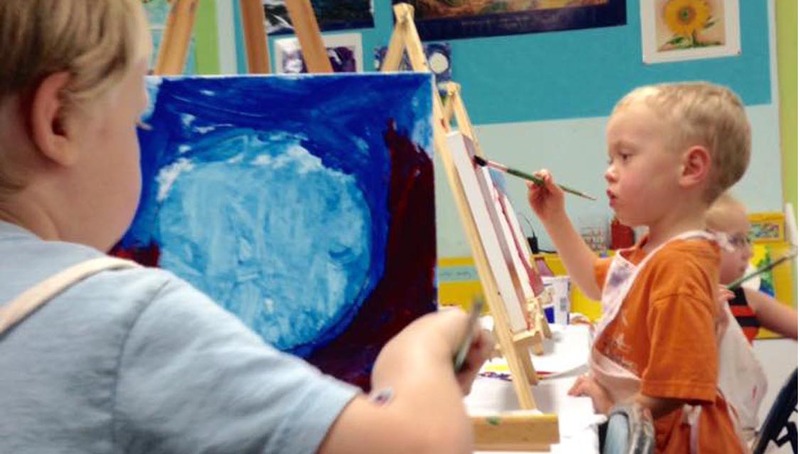 Choose from suggested themes or request a special themed painting to fit your party. Minimum of 5 artists. Members booking a party receive a discount of $5 per person. The gallery or studio space utilized will be based on the needs of your party and availability. No outside alcohol beverages are permitted at the Art Center. 10x10 = $23 per person for 1.5 hour minimum. 12x12 = $30 per person for 2 hour minimum. 11x14 = $30 per person for 2 hour minimum. 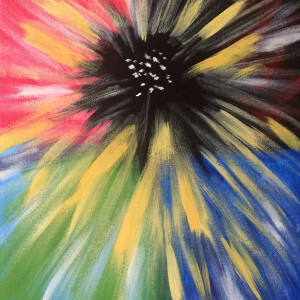 16x20 = $45 per person for 3 hour minimum. Each additional hour beyond the minimum is $15 per person. Call 223-5900 to book your party today! 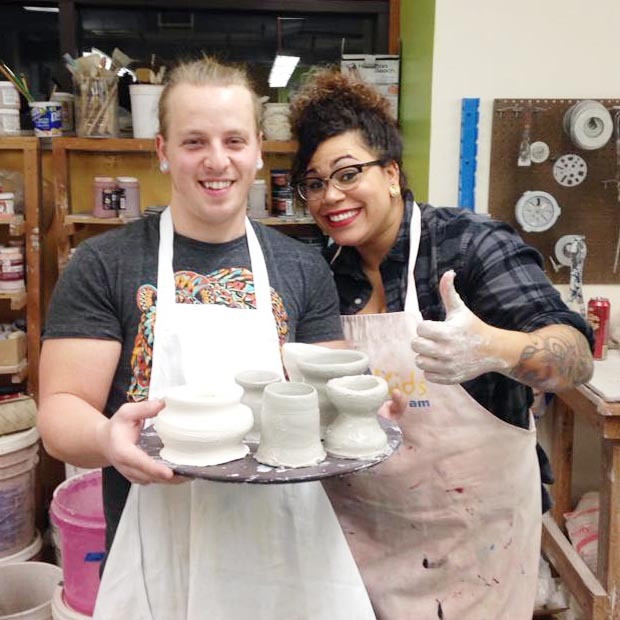 Bring your friends and prepare to get messy while you learn the basics of the potter's wheel! You will make your own pots and choose your glaze! A minimum of 6 participants. All materials included. Beverages and light snacks are provided. Approximately 2 hours long. Call 223-5900 to schedule your party!